By Jack Brummet, Alien Lore Ed. All This Is That Reheated: from six years ago, "The Skeleton On The Moon"
This article first appeared on ATIT over six years ago. It is the number ten most downloaded and visited article on this blog (out of 4,700 articles so far). 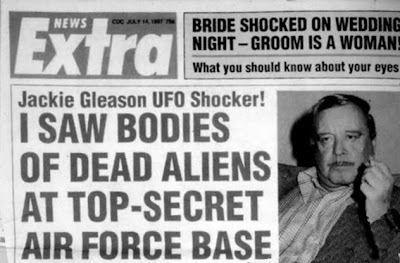 UFO - Greatest Story Ever Denied is an hour and a half long rundown of some of the most interesting and provocative Grey/UFO events following the Roswell crash in 1946. One focus is the "Battle of LA," in which government forces fired upon which they thought was a UFO, but later claimed was a weather balloon. 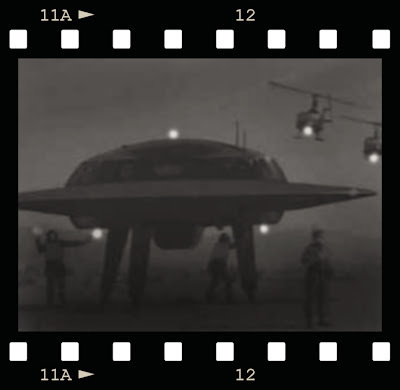 The film includes amazing photographs of Klieg lights trained on UFOs in the skies above LA and a radio broadcast describing the 1,500 rounds that were shot at the unidentified craft -- without hitting a single one! The documentary also covers some of the early military "cover-ups," and information about UFOs that researchers claim are invisible and can only be seem with infrared cameras. I try to avoid reading the comments on YouTube--generally you feel like you need a bath after reading them. 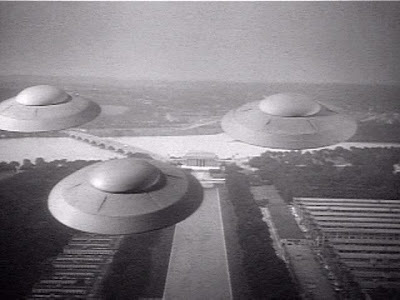 In this case, I did enjoy one commenter who suggests that the reason there has been no public acknowledgement of UFOs and Greys is that the Greys signed a mutual non-disclosure agreement with the "nations of earth." "To me, the most compelling reason why UFOs have never been publicly acknowledged is that there must be a non-disclosure agreement between the ETs and the nations of the earth. When a nation asks "Why should we agree to not disclose your existence?" the reply might have been, "Remember the Tunguska Event?" "Yes." "We﻿ can do that on a much more massive scale. It's up to you." "Fear is a powerful motivator." 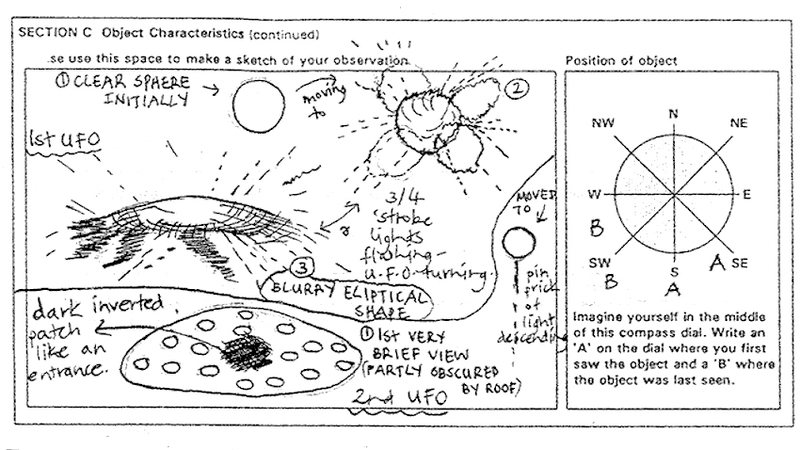 This sketch is one of many documents the British government released in the last couple of years from their vast collection of UFO files. In the last couple of months, on top of continuing releases by various governments (France, Russia, England, The United States), two books on UFOlogy/Alien Lore have appeared that make a lot more sense than much of what has appeared previously. A.D. After Disclosure: The People's Guide to Life After Contact, by Bryce Zabel (of Dark Skies fame) and Richard Dolan, and Annie Jacobsen's Area 51: An Uncensored History of America's Top Secret Military Base , both raise a lot of fascinating questions and pose a few answers. Religions are born, structured around the Alien Lore. Since 1947, when Kenneth Arnold spotted a UFO armada just eighty miles south of me, near Mount Rainier, there has been growing speculation over just what is Out There. In the end, what do all the stories, reports, movies, books, documentaries, and investigations mean? What does this UFO thing really look like? It looks like a conditioning mechanism. Conditioning us for what? Why don't "They" just land on the White House lawn? As a UFOlogist once wrote "For the same reason that the chemists at Parke-Davis don't introduce themselves to their rats." According to this school of though, we are being conditioned for their eventual arrival. Or, more accurately--since many theorists believe they are already here--for their introduction. As I've explained many times before to skeptics, I've written these couple of hundred pieces not because I believe in UFOs, The Greys, a Majestic-12 conspiracy, and a massive governmental cover-up, but more because I don't not believe. No one has yet convinced me--as insane as it all sounds--that all of this is not possible. The Krill Papers  are either a fascinating collection of confabulations, pretzel logic, and pure conspiracy hokum, or a shocking expose of a government that sold us down the tubes to invaders. 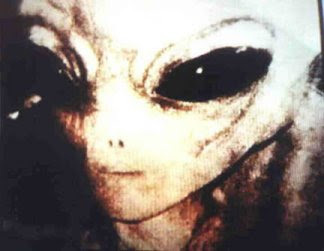 The Krill Papers were purportedly dictated by an alien hostage left with our government when his spacecraft landed at Holloman Air Force Base in the 1960's. The Krill Papers were released by William Cooper and have been the subject of heated and protracted ebate in the UFO community. You can read them here. If you believe Krill (read the footnote/satellite data cluster below), you can see the conditioning is well underway. Jacobsen writes: "The UFO craze began in the summer of 1947. 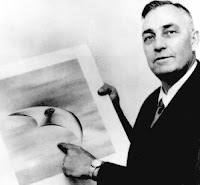 Several months later, the G2 intelligence, which was the Army intelligence corps at the time, spent an enormous amount of time and treasure seeking out two former Third Reich aerospace designers named Walter and Reimar Horten who had allegedly created [a] flying disc. ... American intelligence agents fanned out across Europe seeking the Horton brothers to find out if, in fact, they had made this flying disc. Craft from other worlds have crashed on Earth. 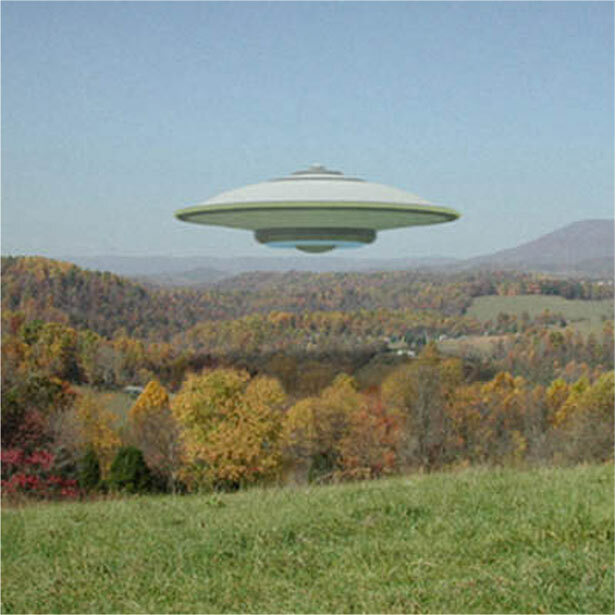 Alien craft are from both ultra-dimensional sources and sources within this dimension. 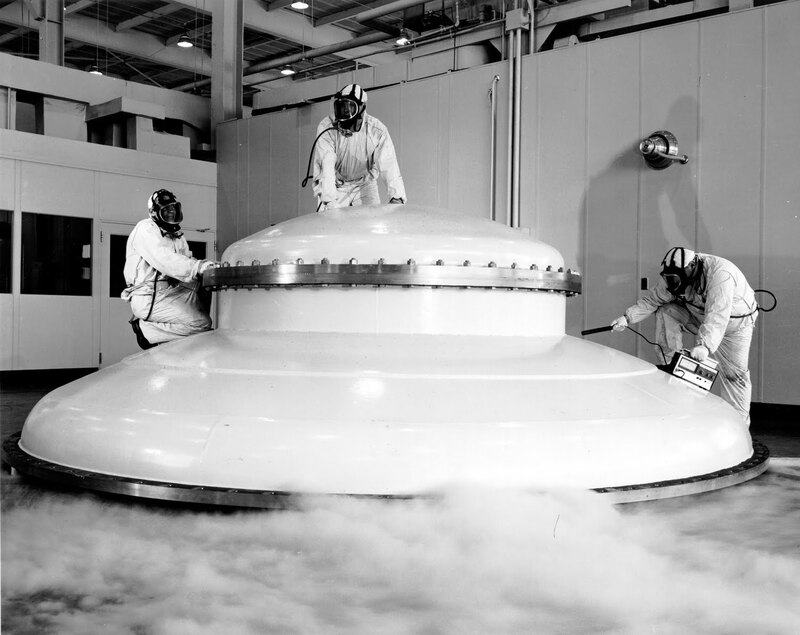 Early U.S. government efforts at acquiring alien technology were successful. 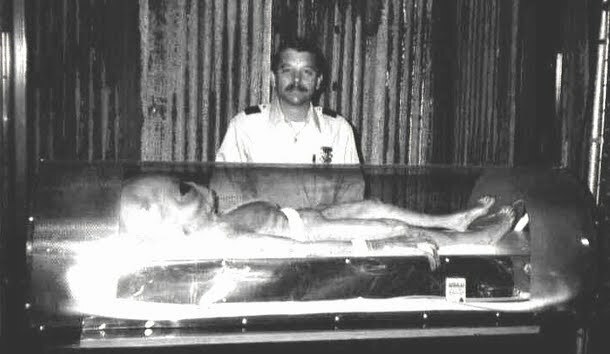 The government has conducted autopsies on alien cadavers. U.S. intelligence agencies, security agencies, and public agencies are involved in the cover up of facts pertaining to the situation. People have been and are currently abducted, mutilated, murdered and kidnapped as a result of the UFO situation. 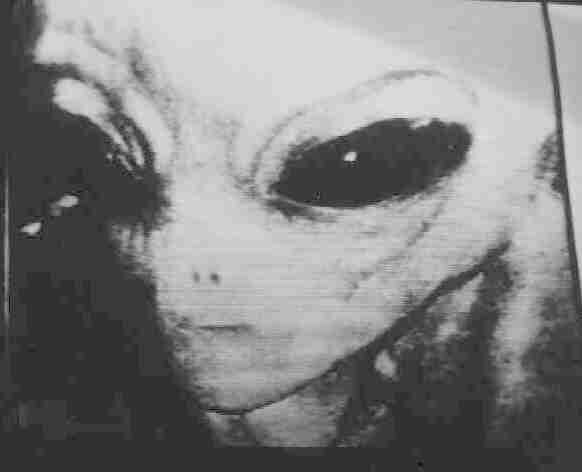 There is a current active alien presence on this planet among us that controls difference elements of our society. Millions of cattle have been killed in the process of acquiring biological materials. Both aliens and the U.S. government are responsible for mutilations, but for different reasons. We live in a multi-dimensional world that is overlapped and visited by entities from other dimensions. Many of these entities are hostile. Many are not hostile. The basis of our genetic development and religions lies in intervention by non-terrestrial and terrestrial forces. Actual technology far exceeds that perceived by the public. The United States space program is a cover operation that exists for public relations purposes. - People are being actively killed in order to suppress the facts about the situation. The CIA and the NSA are involved so deeply that exposure would cause collapse of their overt structure. Facts indicate alien overt presence within five to ten years. Our civilization is one of many that have existed in the last billion years. "The Greys are insidious little fiends. They did exactly [to us] what they're doing here [to you]. You are not on the verge of an invasion. You are not in the middle of an invasion. The invasion has already taken place. It's merely in its final stages." "What would you invade? [Here he describes the operational plan of the Greys from the beginning.] You would go to the most secret of communities within a society. In the case of the United States, you would go and infiltrate the CIA. You would take over some of them and you would take over part of the KGB. "You would create great dissension and disagreement between factions of the public at large -- some groups saying they have seen UFOs, others saying 'No, no, this is not possible.' You would involve two major countries in an on-going idiotic philosophical disagreement so that while the Soviet Union and the United States constantly battle back and forth about who has which piece of territory or whether one invades Iran or whether one invades Afghanistan or whatever... whether one dismantles one nuclear warhead or the other dismantles another group of warheads -- you would sit back and laugh if you had the capacity to laugh. 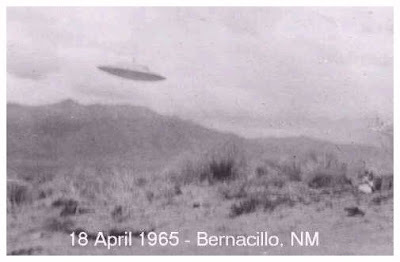 "So you would have battles constantly about whether UFOs exist or they don't exist. You would have the public and the government at each other's throats. You would set two major superpowers at each other's throats. And you would have set up groups like 'haves' -- the wealthy but contented -- and the 'have- nots.' You would plant the seeds of massive discontent. "Eventually you might have some show of ships landing in the 1990s. One or two. By the time they have landed, be assured they will be in complete control. You will start doing crossbreeds and more crossbreeds, generation after generation. "You bribe the government with a few tidbits -- a Star Wars system. You tease and tempt the Soviet Union with a laser system far finer than any of their own scientists could think of. And you always have that subtle inference -- just on the borderline of consciousness so that UFOs don't seem to believable, yet you keep it couched in secrecy and make it seem quite so insane that no one would believe them. 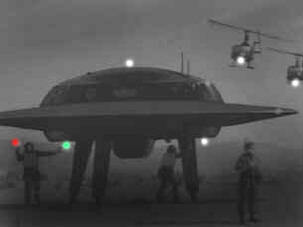 On top of it, you would unleash forces that would want to kill them [UFO contactees] if they disclosed that the CIA is dealing with the exact same things the [contact victim] is. "Maybe one or two hundred years from now, some of the Greys will even physically mingle and you may have some creatures walking around who are pretty much hybrids between Greys and your own race. 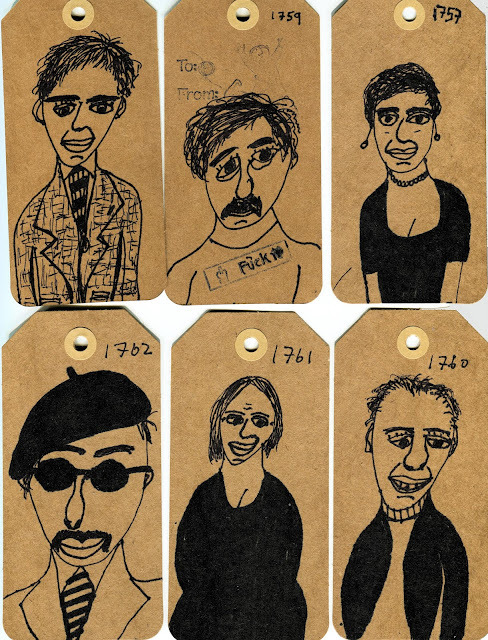 For now, anything that walks around will look much like yourselves. It's simpler. It holds down on mass panic. "Everyone who has experiences with them [Greys] will be at odds with the government. To add to that, we will go into a complete phased of earthquake after earthquake and upheaval after upheaval. "The inner core of the CIA is deeply controlled by the Greys. The CIA sees interaction with the Greys as a path to greater scientific achievement. 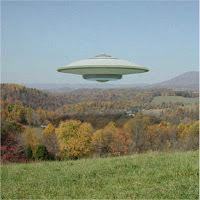 "One reason you are seeing so many different kinds of UFOs is that other cultures are watching with extreme interest. Scientists from other cultures arrive to watch. The Greys have not only taken over the intelligence agencies, they have also taken over what those agencies call 'lunatic fringe groups.' "
Alien Lore No. 198 - Dark Skies released on DVD! One of my favorite television shows ever has finally been released on DVD, some sixteen years after it first aired. Yeah, you could find boots, and I did, but they were rough (although far better than not seeing the show again). But here it is at last. It even includes some great "bonus material" (which I usually barely watch), including audio commentaries, interviews, a behind-the-scenes documentary, network promos, and studio sizzle reels. Right up there with The Sopranos, Hill Street Blues, Deadwood, and a very small handful of other TV shows...is Dark Skies. Dark Skies aired in 1996/7 and detailed the Greylien "history" that has accumulated (like tartar) over the years. Unlike other shows, Dark Skies established an elaborate mythology and framework for the grey lore, built through research of the voluminous outpouring of writing and reporting on alien-related topics. Bryce Zabel and Brent Friedman developed an amazing five year plan for the show, ranging from the early 60's to the millennium, all grounded in historical events. Each episode details the impact of The Hive on historical events. Harry Truman, The Beatles, Ed Sullivan, Jack Ruby, William Paley, Hubert Humphrey, JFK, Bobby Kennedy (in a recurring role), Timothy Leary, Jim Morrison, Jerry Rubin, Carl Sagan, and others all appear on the program. The "lookalike" actors are outrageously over the top and campy...which adds a note of bent humor to the proceedings. The Greys, it seems, are merely hosts for the real aliens, called the Hive. The Hive is far more dangerous and insidious than the Greys. The Greys, in fact, are a race not particularly warlike until they are taken over by The Hive. "Dark Skies" was set in the '60s, and, as such, it has aged well. It still looks like the 60's! They actually took a lot of care in 1995 to recreate American streets of the 60's, and the locations, wardrobes and cars are all spot on. The Hive, in the form of The Greys, has stealthily infested America, and the world. The awful truth is kept from the American people by Captain Frank Bach, the leader of a super-secret government organization called Majestic-12. John Loengard and Kim Sayers are on the run from the alien Hive and from the Government. Their travels lead them all around the country as they learn more about the massive infestation of The Hive, and Majestic's efforts to control it at any cost. It's never clear in the show whether the cure is worse than the illness. Dark Skies seamlessly put together science fiction, UFOlogy, and past political events and social movements that took place during the 50's and 60's. Unlike the X Files, Dark Skies was a one trick pony--it was about aliens, and UFOs, and nothing else. In a lot of ways, the story is better than ever. It is, with all that has happened and become known in the last fifteen years, it is, perhaps, more plausible than ever before. . .
 Several governments, including ours have admitted they did withhold information, generally when they they were stumped...to avoid panic. 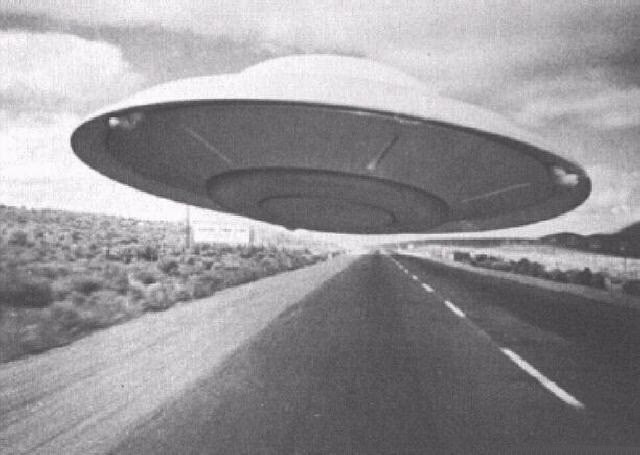 France, Russia and other countries have begun in the last two years to release massive amounts of their once secret files on UFOs and aliens. Alien Lore No. 188 - Animal? or Alien in the woods near Baton Rouge? They say it's an animal, but it looks like a Grey to us. Thanks to Jeff Clinton for this one. 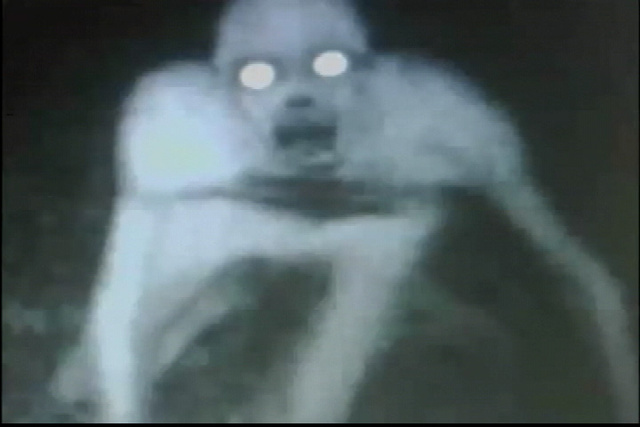 A deer hunter captured a weird image of something wandering through the Louisiana woods one night recently. WVLA in Louisiana (NBC 33) reports that a Baton Rouge hunter found this photo when he returned to the area in which he had a camera on a "deer stand." 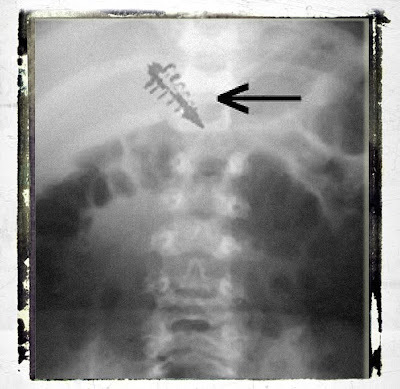 On closer inspection, "the hunting camera was broken but the memory card was still there and so was this bizarre image." Their description, "it looks like a cross between a human and an animal, with long slender appendages and glowing eyes," sure sounds like the classic EBE/Grey/Visitor/Zeta-Reticulan of alien lore. Alien Lore No. 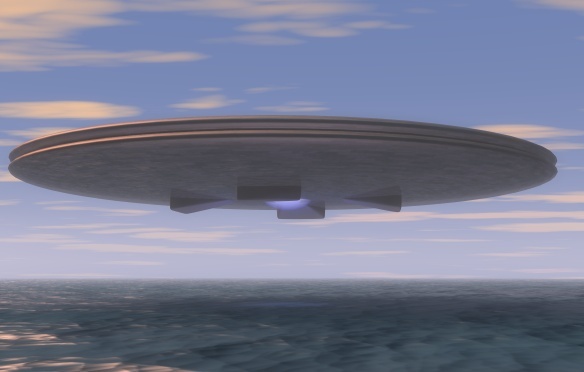 184 New book claims UFOs will come out of the closet this week? A recent book by retired Air Force officer/NORAD staffer, Stanley A. Fulham, predicts that next week, on October 13, 2010, we will witness a "massive UFO display over the world’s biggest cities." 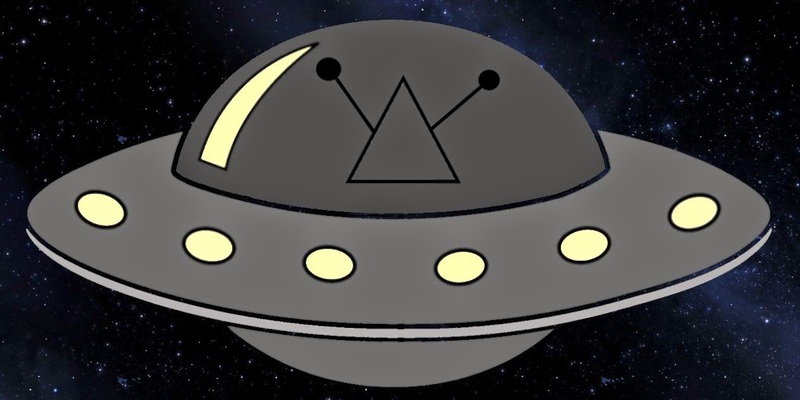 According to Fulham, the aliens will not, buzz, strafe, or communicate on that date, because they know from their previous experience with other planets that sudden intervention will cause fear and panic. “Challenges Of Change” reports that this coming out is only the beginning. The aliens will help us remove our poisonous gasses, he says, and that all this will be done by 2015, or earlier. Stanley Fulham claims to have had extensive communication with The Greys, and that they have told him about things such as climate change, international terrorism, and other topics, because they want the information out without coming down themselves and causing an uproar. "Hi. Welcome to earth. Have a good day!" or ala Idiocracy, "Welcome to earth. I love you." As you may have heard, we now have an official alien greeter, thanks to the United Nations. 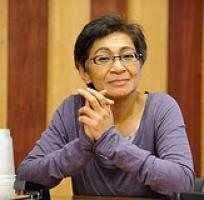 The current head of the United Nations Office for Outer Space Affairs (UNOOSA), Mazlan Othman--a Malaysian astrophysicist--has been allegedly selected as the U.N. ambassador, to meet and greet visitors from other planets. . .presumably, she will also direct them to the various departments and countries in which they may be interested. At first, the U.N. General Assembly in Vienna, Austria, called the now widespread news reports hokum. It has been reported by The Sunday Times that next week Othman will make an announcement about her appointment as chief alien ambassador at a scientific conference, in Buckinghamshire, England. The science magazine Wired UK, which says Othman has said in recent lectures that extraterrestrials will someday give signs of their existence to mankind. As you know, there is a fairly large contingent of people, ranging from generals to scholars to out and out fruitcakes, who believe the visitors have already shown those signs. “When we do [see those definitive signs], we should have in place a coordinated response that takes into account all the sensitivities related to the subject”, Othman said in a recent lecture. Update--just this morning the Associated Press...Othman said she thought it would be a really cool job, but no, she is not the Alien Ambassador. "Yes, she heads the United Nations Office for Outer Space Affairs. No, she has not been appointed to represent the Earth in future negotiations with aliens. "That's the word from Mazlan Othman, who Tuesday debunked British press reports indicating she would be Earth's ambassador to beings from outer space if they land in "Take me to your leader" mode. "Still, it's apparent she kind of likes the idea. "I think it's cool, but no, I am not about to be appointed the ambassador to aliens," Othman said Tuesday before speaking at a Royal Society conference dealing with extraterrestrial life." "The issue of Othman's possible role as a point person for aliens was raised nine days ago by the Sunday Times in London, which reported that the U.N. was poised to give Othman the position." Report 1: July 2010. "This is the most awe-inspiring moment of my life and I was somewhat sad to see them leave. I really felt like I had seen something extraordinary. 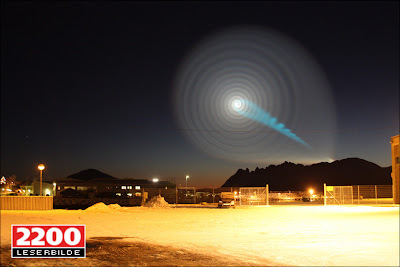 "Looking in the sky to the west to slight northwest on Saturday night at 23:15, I saw about 30 orb-type lights or balls in the sky at about 90 degrees in a pattern that gave off a glow in the night sky. "The glow was orange and red, but the formation gave off a red orange and a little twinkling, gold color. We watched it for about 6 minutes, then it seemed as half of the formation disappeared, not all at once, but within a second or two. "Then the other part of the formation left or became invisible, leaving behind two balls that seemed larger or closer. These two orbs remained stationary for about 5 seconds before one of the two took off straight up. "Then about 7 seconds after the first of the remaining two orbs left, the last one left or followed the rest into the night sky. Report 2: 07-17-10, City of Seattle - "The formation/armada was huge. I was looking at stars with my dad over Puget Sound when I looked west and saw 28-30 reddish, orange orbs stationary in the sky. "These were not florescent lights like we use on earth, it was more like a different type of light, an energy ball that had a golden tint around the formation of UFOs. 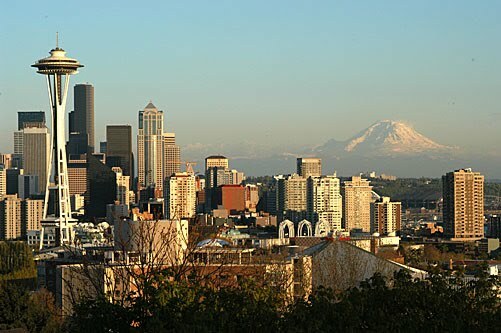 Report 3: 7-17-10, City of Seattle - "At approximately 23:28 PM, PST, in Seattle, Washington, my wife and I received a phone call from her parents (who live 1 block away), about some interesting lights in the sky over Beacon Hill (also in Seattle). "We were told to immediately come outside and look towards the sky (due west) and see them for ourselves. "We then saw 25+ orange-lighted objects which appeared to blink in and out as they dimmed in the upper atmosphere. They all appeared to be moving in the same direction (towards the northeast) and all seemed to stem from the same location. "They were only visible for about 3-5 minutes. Three airplanes were seen in the sky as well (heading to SeaTac Airport to land). "We took video on our camera, but only a couple of the objects were barely visible through the street lights. You could see the airplane clearly. Unless something is reported on our local news media stations, we are assuming that these were indeed UFOs, and a lot of them. 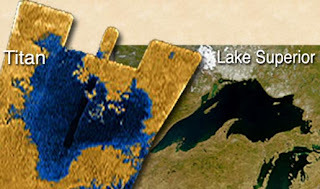 Report 4: 7-17-10 - "My daughter and I were outside, and this object went above us heading straight due north. It was a light, silver-colored disc with a bottom that was about half the size of the craft. "The half-round bottom looked as though it may have been translucent, its color was grayish and slightly opalescent. 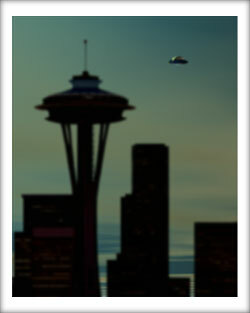 "When the craft passed over what was probably SeaTac Airport, it became very, very bright and looked like a star. But only roughly 6-7 seconds later, it dimmed again and we could still see its disc/orb outline. "We watched it as far as our eyes would allow. My daughter mentioned the uncanny lack of air traffic as this object moved over the airport area. Thanks to a good friend of All This Is That, Dr. Stephen Clarke-Willson, for another great tip. As you know from previous Alien Lore stories here, over the last year or so, Russia, France, and England have opened up and begun releasing their UFO/Grey/Alien files. Literally thousand of documents have already been released by these three countries, with many thousands more queued up for release as I type this. The Brits just released their latest batch--including a letter saying that Winston Churchill ordered a 50 year cover-up of a wartime encounter between a UFO and military pilot. The files, published by England's National Archives, "span decades and contain scores of witness accounts, sketches and classified briefing notes documenting mysterious sightings across the country," according to Reuters. 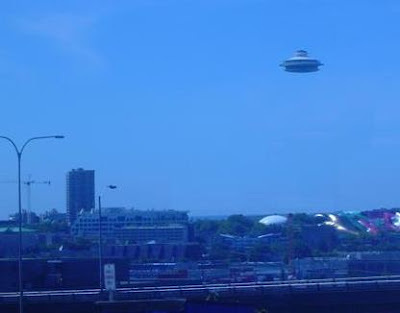 An unidentified letter writer in 1999 says that a Royal Air Force plane returning from a mission in Europe during World War Two was "approached by a metallic UFO." The author says his grandfather attended a wartime meeting between Churchill and Dwight Eisenhower during which the two expressed concern over the incident and "decided to keep it secret." 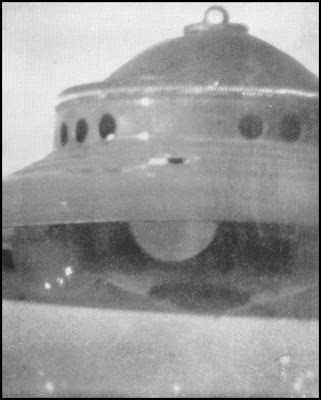 The Ministry of Defence was unable to find any primary source materials regarding this claim: and , in addition, "... the MoD does not have any expertise or role in respect of 'UFO/flying saucer' matters or to the question of the existence or otherwise of extraterrestrial lifeforms, about which it remains totally open-minded." 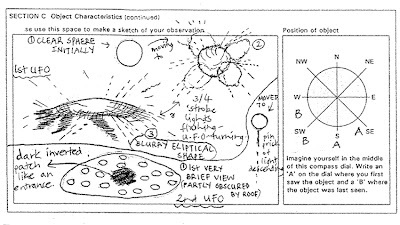 An earlier release--an ATIT Alien Lore post,--details a 1995 sighting. A plane approaching Manchester airport experienced a near-collision with an "unidentified object," in which a witness claimed he saw a UFO "20 times the size of a football field." (Just about Independence Day-sized). An investigation failed to turn up anything. "Prior to the demise of the Former Soviet Union, aircraft were scrambled some 200 times annually to intercept and investigate uncorrelated tracks penetrating the UK Air defence region (AKADR) from the north..." it said. The last scramble was in September 1991 -- just about the time the Soviet Union imploded. Alien Lore No. 173 - Our methane-breathing cousins on Saturn: NASA scientists say "alien life exists on Saturn's moon." 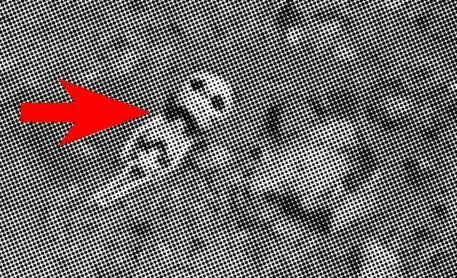 Nasa scientists have discovered evidence 'that alien life exists on Saturn's moon.' NASA Researchers believe they have discovered vital clues that indicate primitive aliens could be living on the moon. Hello, cousins! NASA's Cassini probe has transmitted data back to us that led to extensive analysis of the complex chemistry on the surface of Titan. 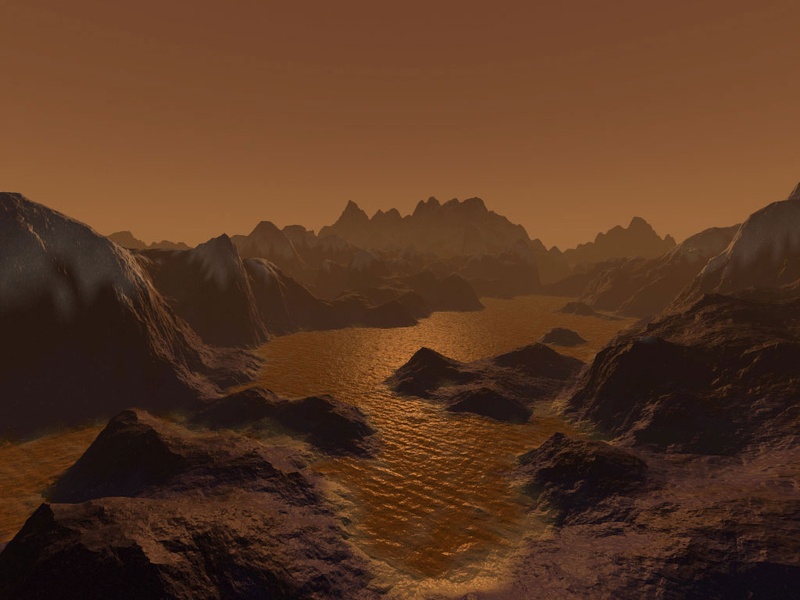 Titan is the only Saturn moon with a dense atmosphere. Astronomers claim the moon is generally too cold to support even liquid water on its surface. One study, in the journal Icarus, shows hydrogen gas flowing throughout the planet’s atmosphere, showing that alien forms could possibly breathe. Another paper, in the Journal of Geophysical Research, says there is no hydrogen on the surface of Titan. The hydrogen theory scientists believe the hydrogen may have been consumed by life. Huh? Like, they used it up? According to NASA, "researchers expected sunlight interacting with chemicals in the atmosphere to produce acetylene gas. But the Cassini probe did not detect any such gas." Chris McKay, an astrobiologist at the NASA Ames Research Center at Moffett Field, CA, said: “We suggested hydrogen consumption because it's the obvious gas for life to consume on Titan, similar to the way we consume oxygen on Earth." Professor John Zarnecki, of the Open University, said “We believe the chemistry is there for life to form. It just needs heat and warmth to kick-start the process." They warned, as these tricksy scientists always do, that there could be other explanations for their findings. However, "taken together, these studies indicate two important conditions necessary for methane-based life to exist." All photos and quotes are courtesy of NASA. And we get to use them here because we, the taxpayers, paid for it. Thanks to Dr. Stephen Clarke-Willson for directing me to this story. 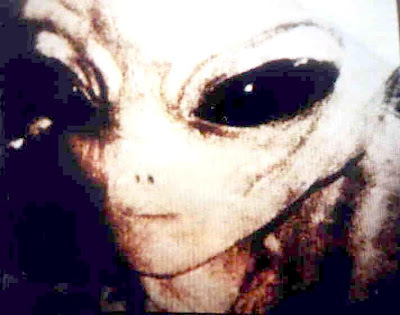 According to a story published late in December by The Examiner, "Independent sources have claimed an on-going set of face-to-face meetings between U.S. military officials and extraterrestrial life. The sources reveal that senior U.S. Navy officers have played a leading role in an inter-services working group responsible for the meetings, and that different extraterrestrial groups are allegedly involved." These meetings are alleged to include high Navy officials (Source A among them) and were follow-up meetings to earlier conclaves with United Nations officials. 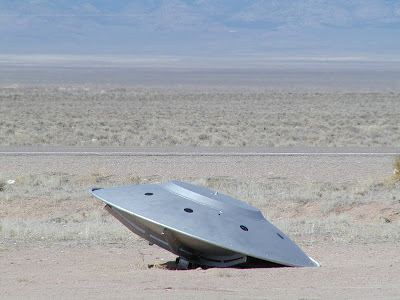 Source A says he was directly involved in meetings with two separate alien groups about their spacecraft. 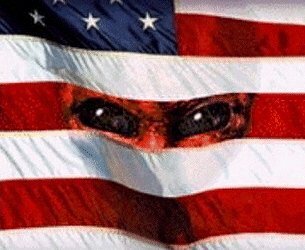 Leaked reports give strong evidence of an ongoing program of secret meetings involving senior military personnel from the U.S. Navy and other military services with one or more extraterrestrial civilizations. "The Ebens [ed's note: we typically refer to the Ebens as The Greys here] met on Akau Island with a total of 18 representatives from the U.S., United Nations, Russia, China, the Vatican and certain other guests. 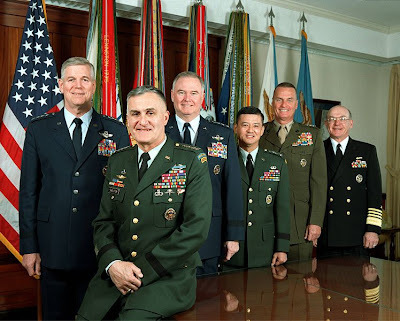 U.S. representatives are said to have included five military personnel, two intelligence officers, one linguist and one person representing the Obama administration." 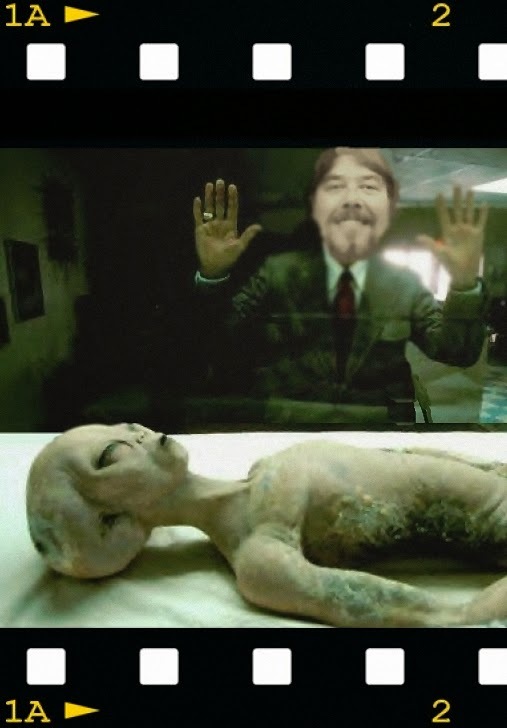 This meeting with the extraterrestrials occurred in November, 2009. "...there are many events revealed in the Serpo story that are very likely based on real events such as President Reagan being secretly briefed at some point about extraterrestrial life. A number of Reagan’s public statements are circumstantial evidence that he did receive such a briefing. An alleged transcript of the briefing was released as part of the Serpo material in November 2007. This author’s assessment is that the Serpo releases mix real events with fiction in an officially sanctioned acclimation program. 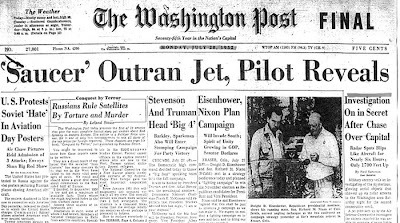 While the Serpo material requires much discernment given the level of disinformation in it, it is very likely that it accurately reveals the existence of secret military meetings with extraterrestrials..."
Thanks to Jeff Clinton for pointing out this story on altaposten.no. The quotes are [shaky] Google translations of the Norwegian web pages. 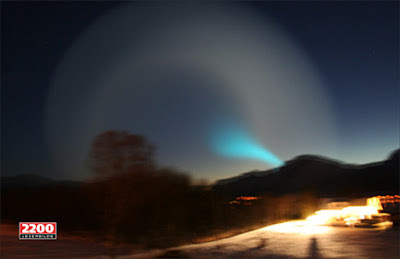 "In the morning rush hour, at 07.47, showed the special phenomenon in the sky. Thousands of people across northern Norway has been joined by the phenomenon, and the phone lines to both Altaposten, most other northern Norwegian media, and also the capital of the newspapers have glowed." "The phenomenon described as a glowing ball in the sky, which rotated and "thrown out" luminous rings. The phenomenon grew rapidly in a spiral, with bright white rings towards the edges and blue, bright rings in the center. Helio was growing, until it eventually was significantly greater than both the moon and other things it will be normal to find in the sky. 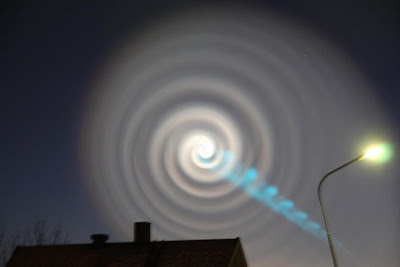 "Spiral" also walked across the sky, leaving a bright blue track." The whole thing lasted just under one minute and then the spiral in the sky appeared to collapse, leaving a dark, circular "hole" in the night sky. "It was a very special sight, a kind of white spiral, giant, who lit up the sky. Eventually, it was a big, black ring with a bright green (aurora colored) tail behind him. 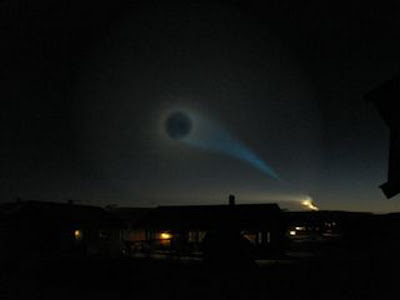 In the end, only the tail again, and it could be seen in the sky about 10 minutes afterwards as well, writes Liv Reidun Tverelv in an e-mail to Altaposten. " "According to CBS News and other media, the Russian authorities confirmed on Thursday that it was a Bulava missile, which failed and ended his days in the spin far up the atmosphere Wednesday morning. Seven of the 12 test launches of the "Bulava" missile has been unsuccessful, according to the Russian Defense Ministry." "This fun lysfenomenet NOK has an electrical origin. Discharges in plasma organizes itself as "Birkeland Cables" and can therefore lead the electric charge over large distances. These are configured as coils of cables - "tornado shape" if you will. At low power, these are invisible. Increases energy intensity, it begins to glow as the fluorescent and the Northern Lights. With increasing intensity, these self-organized wires push themselves further along in what is called z-pinch effect. This causes a further konsentrereing of electrical energy and a get-glowing plasma arc (as in lightning and sparks). They organize themselves again often in special formations where some typeiske varieties are precisely the spiral shape (Galaxy Form) and ring structure (such as some planetary nebula). "The reason that meterologer and astronomers do not recognize this right away is that they are not trained in plasma physics. Plasma Physicists will recognize phenomena from plasma (electricity) experiments in the labs and in the simulations." Some of the most compelling alien lore in the last couple of years has emerged from Eastern Europe, "Russia," England and France. This story is no exception. Thanks to Jeff Clinton for once again alerting us to another fascinating story. 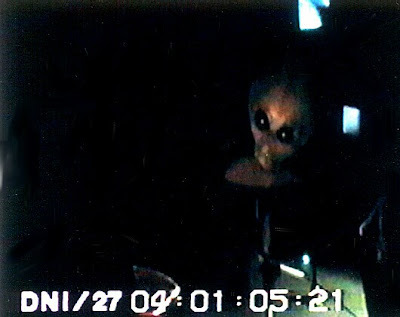 Luchezar Filipov, a deputy head of the Space Exploration department within the BAS, recently told reporters that "they (the aliens) are here right now, among us". He said that, although there is little awareness of their presence, they are conducting surveillance and research on Earth. The scientist said that they are not hostile in any way; on the contrary, they are friendly and willing to help us. Unfortunately, due to our lack of evolution and development, we are unable to conduct any coherent form of conversation with this superior life form. "They want to help us, but the problem is that we don't know what to ask of them once a contact is established," Filipov told Dnes daily. Filipov reckons that it will be impossible to try and track extraterrestrial life with our current radar equipment, or through the usage of radio telescopes. Apparently, the aliens were "categorical" that any future means of contact between us and them would be conducted through mental power and telepathy. "The aliens are very critical of our immoral behaviour and our destruction of the environment. They say that global warming is attributed mainly to infrastructural engineering. Additionally, they are very skeptical of our use of cosmetics, and artificial insemination because this is 'unnatural,'" Filipov said. According to Filipov, his team of scientists are currently analysing the answers to their questions from the interactions with the visitors. The scientists aim to have a coherent "strategic plan" pertaining to questions which they will put forward to the extraterrestrials in their next meeting, which is said to be in the spring of 2010, Dnes reported. Work on deciphering a complex set of symbols sent to them is underway, scientists from the country's Space Research Institute said. They claim aliens are currently answering 30 questions posed to them. Lachezar Filipov, deputy director of the Space Research Institute of the Bulgarian Academy of Sciences, confirmed the research. He said the centre's researchers were analyzing 150 crop circles from around the world, which they believe answer the questions. 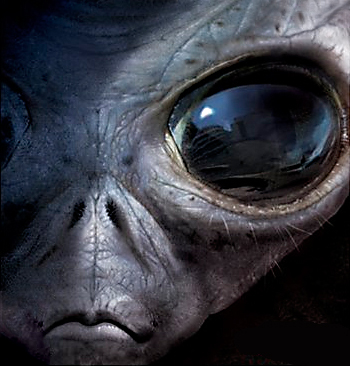 "Aliens are currently all around us, and are watching us all the time," Mr Filipov told Bulgarian media. "They are not hostile towards us, rather, they want to help us but we have not grown enough in order to establish direct contact with them." He said humans were not going to be able to establish contact with the extraterrestrials through radio waves but through the power of thought. "The human race was certainly going to have direct contact with the aliens in the next 10 to 15 years," he said. "Extraterrestrials are critical of the people's amoral behavior referring to the humans' interference in nature's processes." The Alien Rejection Technique is employed. And half the patients survive. Responds to the call to arms. To end your tenure on earth.